OK! Welcome back to a brand new edition of Tuesdays With Lazerbeak. It’s supposed to get to -60 degrees below zero with the windchill later tonight here in Minnesota, so why not stay inside and warm up with some BRAND NEW MUSIC. I’m very excited to announce the release of the second single from my upcoming Luther solo album. It’s called “Retreat” and that is the beautiful single cover below courtesy of my main man Andy McAlpine. I made the majority of this Luther album throughout the winter months last year, so it’s extra fitting to be releasing the material publicly in that same frigid season one year later. You can check out “Retreat” below on the Soundcloud and YouTube players, or grab it from any of your favorite streaming platforms right HERE. I really hope you enjoy it and thanks so much for listening. As we build ever closer to Luther‘s February 15th release date, it’s officially time to start planning the big release show. Gonna try out a real grownup and unconventional night this time around. Instead of just playing the album front to back, I’ll be talking about the inspiration behind it, breaking down the beats live, sharing unreleased material, and inviting a slew of special guests on stage throughout the night to perform selections from my discography. I’m calling it “An Evening With Lazerbeak” (fancy, I know). It all goes down Friday, March 8th at the newly renovated Parkway Theater in South Minneapolis. Tickets just went on sale last week and you can grab yours right HERE. Should be a really special night. Hope to see a bunch of you down there in person! Check out your official invite below. And I can’t forget about the awesome Luther Pre-Order bundles that we have available at the Doomtree Webstore. Merch is starting to roll in and I gotta say, it’s all looking super tight (yes I’m biased, but super tight nonetheless). Check out these Tuesdays With Lazerbeak coffee mug that come with the Deluxe and Collectors pre-orders. And try not to notice the extremely watered down coffee I had to pour into it because I accidentally already drank the whole pot. Whoops! 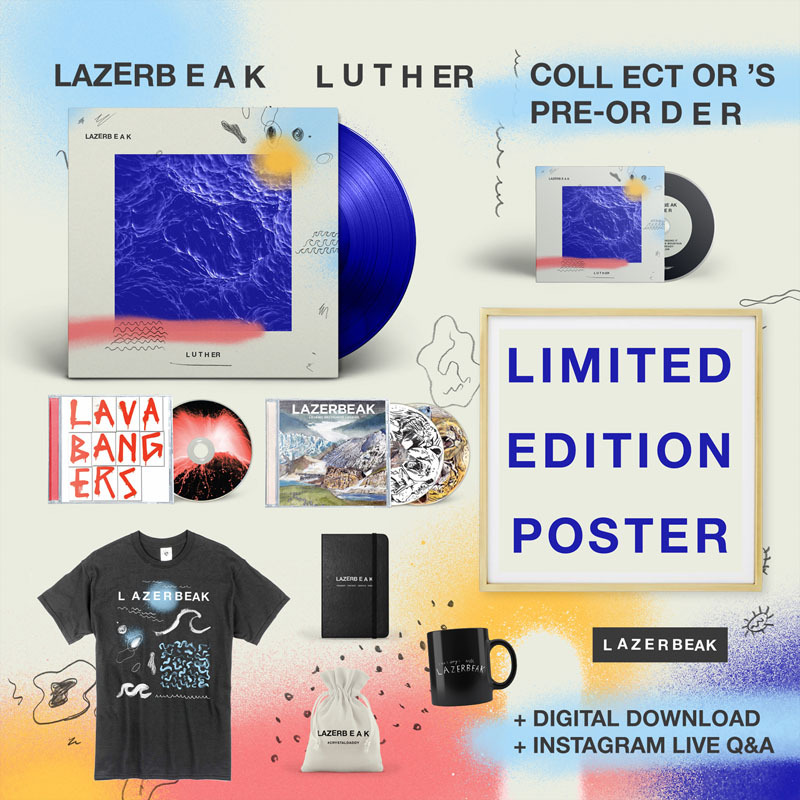 You can check out all three different Luther bundles over at the Webstore right HERE. That’s the crazy Collector’s Edition below. Speaking of excellent pre-orders (SEGUE! 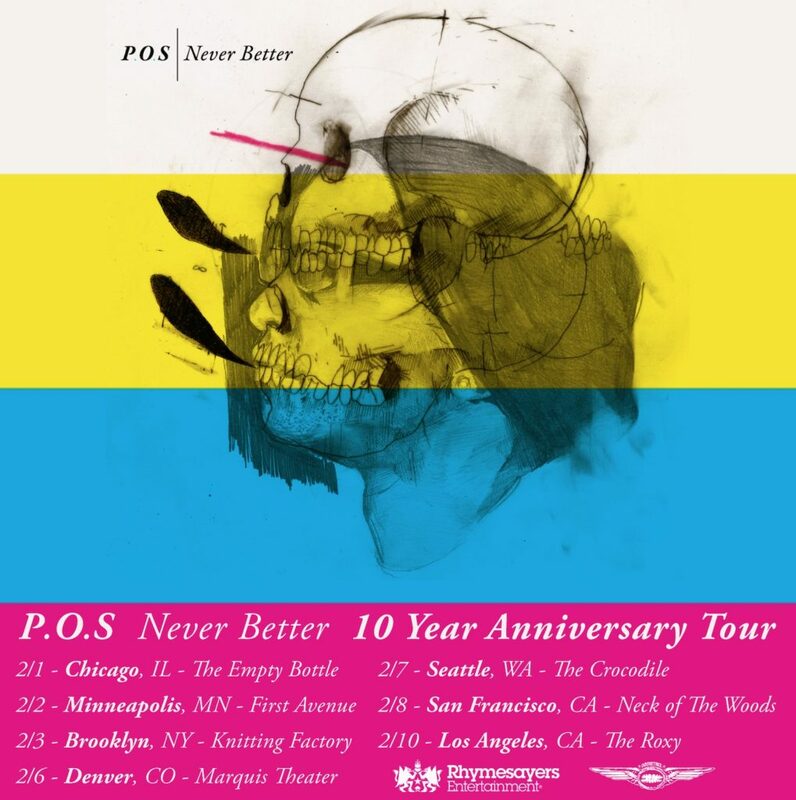 ), the 10 year anniversary edition of P.O.S’ instant classic Never Better album is being re-released on triple vinyl THIS FRIDAY February 1st, and there’s still time to get your pre-order in. Check out this cool unboxing video that our friends at Rhymesayers put together to see everything that comes with it. 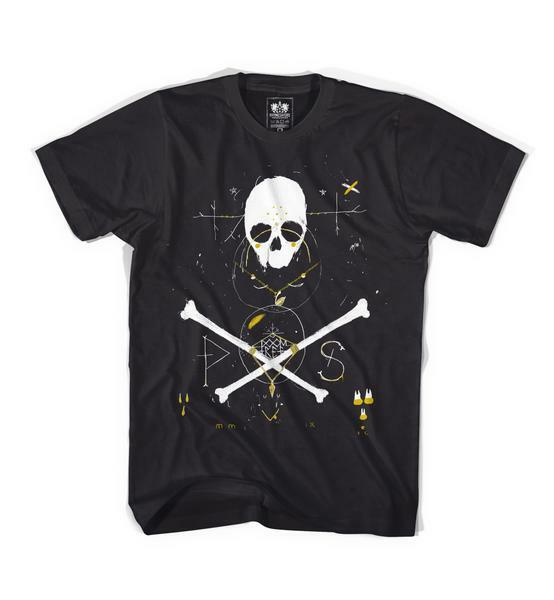 Rhymesayers is also reissuing this classic P.O.S shirt from a decade ago (man, I used to wear that thing constantly back in the day). You can grab your vinyl from Fifth Element HERE or the Doomtree Webstore right HERE. Then get extremely pumped for the extra special Never Better anniversary shows that Stef will bringing across the US over the next few weeks. Tickets are moving fast and almost sold out at many of these stops, so make sure to act fast if you’re trying to be in the building. Chicago, Minneapolis, Brooklyn, Denver, Seattle, San Francisco, and Los Angeles are all on deck. Get your tix HERE before they’re gone. And speaking of cool shows (SEGUE II!!! ), Dessa has a bunch of one-off dates coming up in February and March throughout the mighty Midwest. 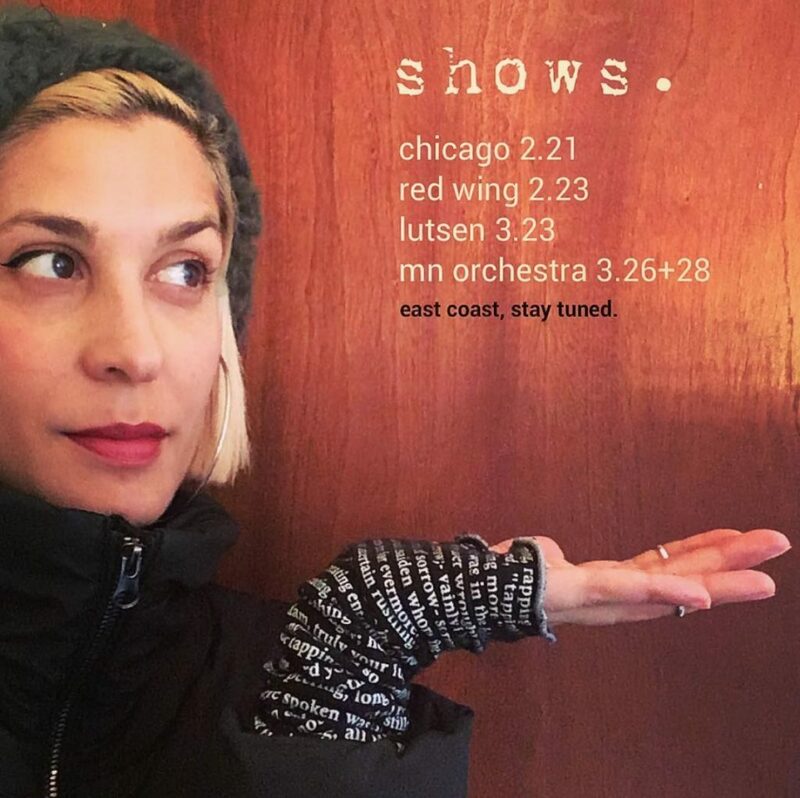 She’ll be hitting Chicago, Red Wing, and Lutsen before her epic two-night stand with the Minnesota Orchestra for the live album recording that Doomtree will be releasing this fall. Check out all the dates below and grab your tickets right HERE. 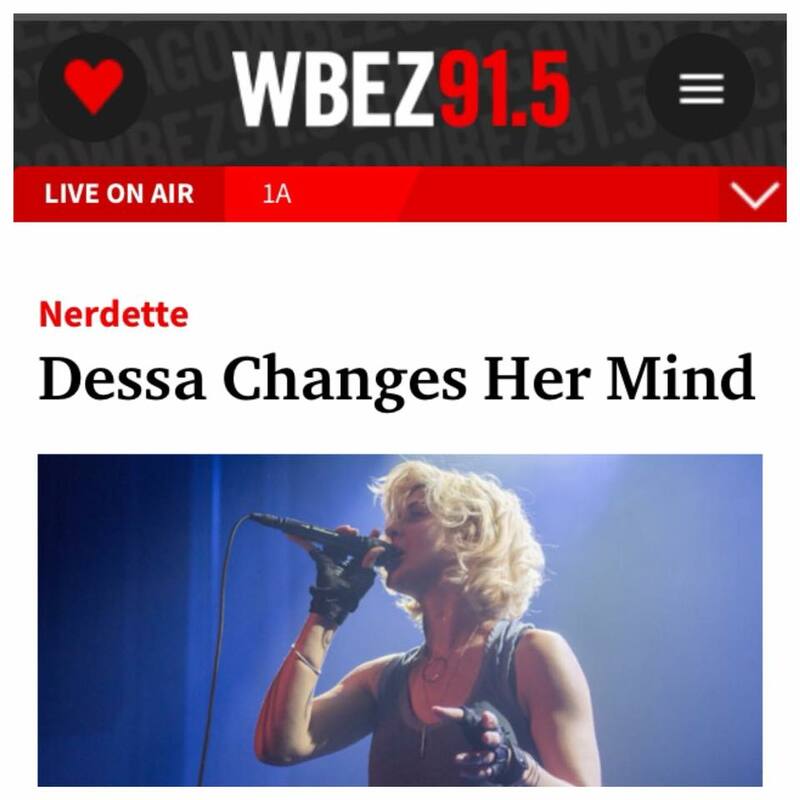 Dessa also recently popped into Chicago’s WBEZ public radio station to record an interview with the rad Nerdette podcast. They go deep into music, science, neurology, and success. Check out the full discussion right HERE. 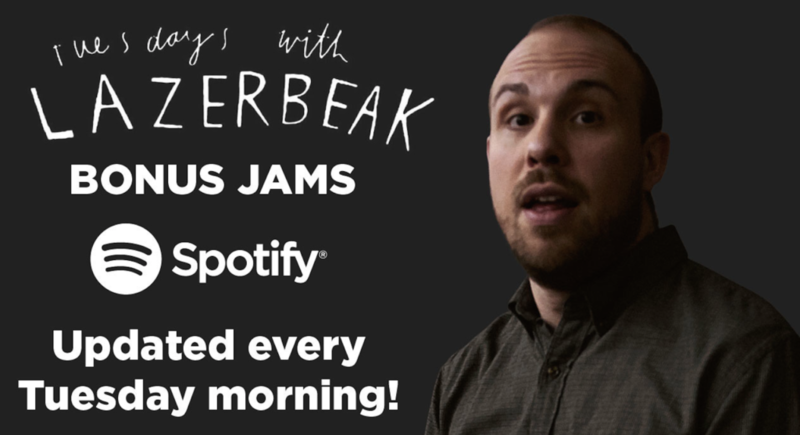 OK that does it for Doomtree-related news this week, which means it’s time once again for another round of Tuesdays With Lazerbeak Bonus Jams! As always, I’ll be updating these every week on my Bonus Jams Spotify Playlist so you can take this music with you everywhere you go. Save it to your playlists right HERE. I’m going full-on Minnesota jams this week because our great state continues to churn out incredible music of all genres at a truly unrelenting pace. First up is the new music video from Hippo Campus for their song “Doubt.” HC’s most recent album was one of my favorites of last year, and not just because I got to help out with a little bit of the post-production. These guys have been consistently growing and mutating their sound since they popped up and it’s been awesome to watch their ever-growing success. Check out the vid for “Doubt” below which stars a pretty incredible half-person/half-deer. Kara Laudon just released an excellent new single called “This House.” You’ll recognize Kara as the keyboardist and backup singer in Dessa’s live band. The two new solo singles she’s dropped recently have been GREAT and I can’t wait to hear what she does next. Alec Ness just dropped an absolute heater with this new “Harbinger” single. Really excited for his upcoming project, especially after the great work he put into the last Dizzy Fae album under his su-na production handle. Rapper Rich Garvey is back with a brand new visual off his upcoming project. This one is called “Where Yo Grind At?” and features a guest verse from Jube Osirus who also directed the vid. Check it out below. Very pumped for the upcoming solo album from The Pines’ frontman David Huckfelt. Everything I’ve heard off the project so far has been stellar, and this new single “Still and Still Moving” is no exception. Check it out below. 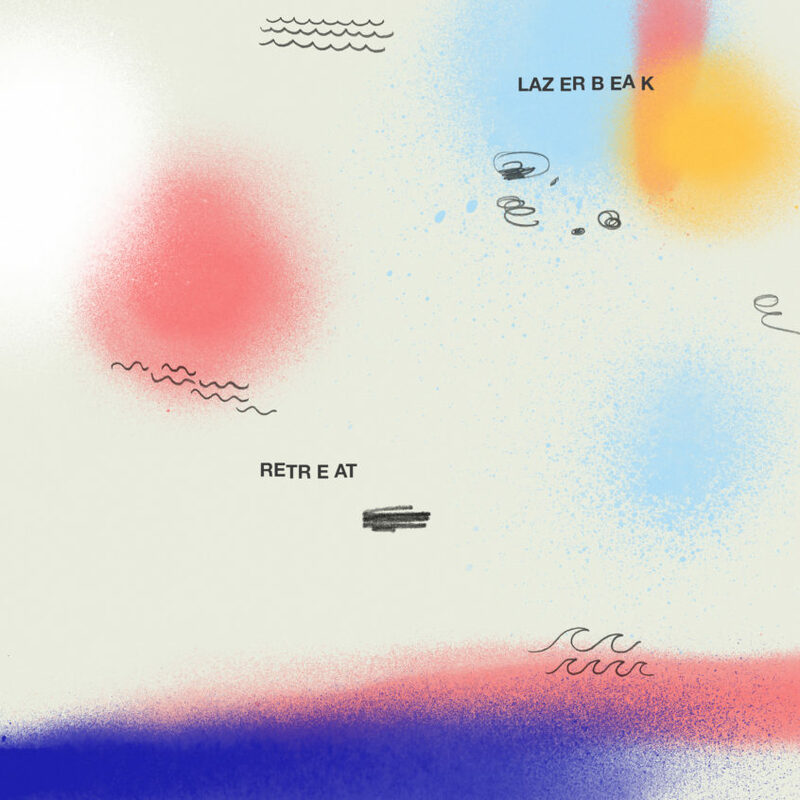 And lastly, let’s end this thing where it all began up top: With the new Lazerbeak single “Retreat” (from ME, duh). This is one of my favorite songs off the album, mainly because of how much saxophone I got to incorporate in it. Little known fact: This Luther album was actually dangerously close to being called SAX. Probably for the best that it wasn’t, but you can still enjoy the sweet woodwind sounds below. Thanks again for listening and for supporting this project. It really means a lot to me. If you’re able to, please help me get the Luther word out to your online and real life friends too. ‘Preciate you! Alright that does it for this post! 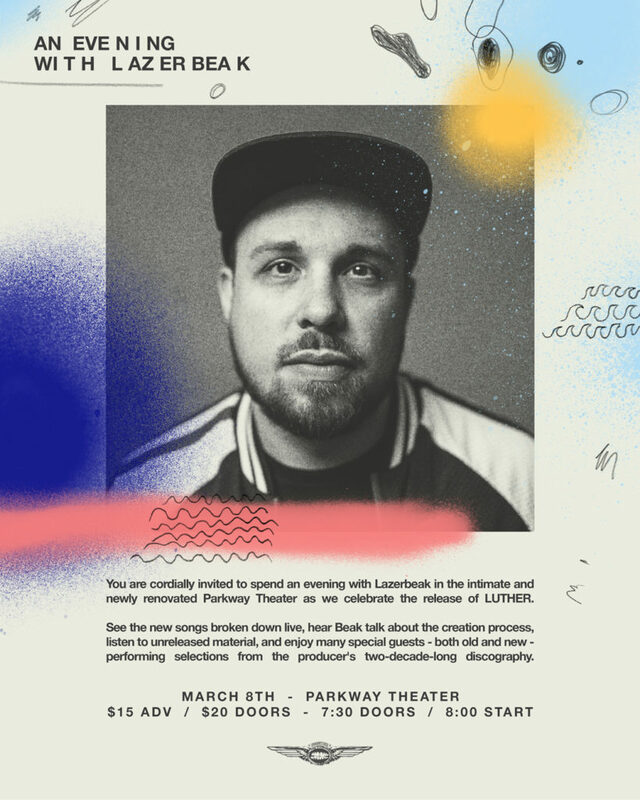 I hope you all bundle up and stay warm over the next week and I’ll see you back here next Tuesday for the second episode of the Tuesdays With Lazerbeak Podcast and even more big news.